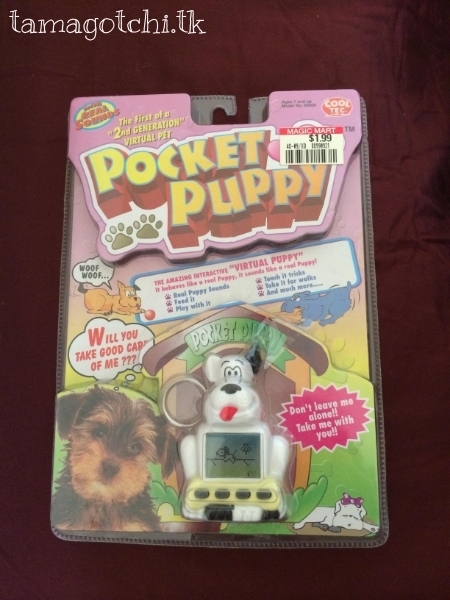 The Pocket Puppy is a multi-pet which consists of 4 different dogs you can choose from, two male and two female with different personalities. Each dog has it's own unique characteristics (submissive, dominant, playful, etc.). 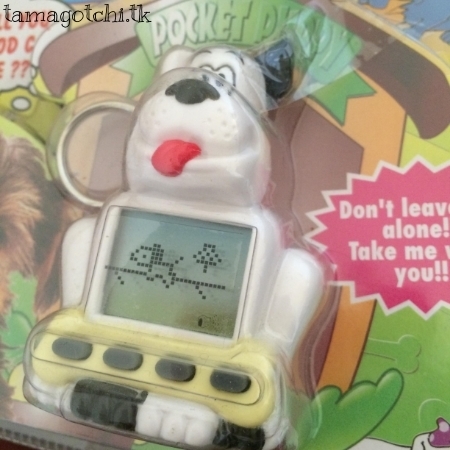 Unlike other virtual pets this Pocket Puppy does not seem to grow at all. It just stays the same and does not seem to change as you care for it. I chose a female dog and raised her for about 2 weeks and did not see her grow even one time during that entire time. This pet has some pretty basic features with some added stuff such as grooming your dog, training you dog and playing with your dog. It also has audio that sounds like a real dog. It got kind of annoying hearing the constant barking. The animations for every action were extremely cute, so if you just want to play with a cute puppy that doesn't change then I would recommend this pet. It also has a very unique shell that is shaped like a dog and it's bigger than most virtual pets I've seen, with a really nice big screen. The programming seems to be completely unique to this pet, since I've never seen any other pet with similar programming. I have never seen this pet in any other shell type except this one. 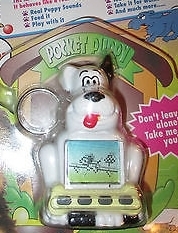 The battery compartment has a slide out door that you have to unscrew underneath the dog and it takes only one battery, same as the Tamagotchi Connections. I got mine for about $15, but shortly afterward the price went down to about $8-10. There are quite a few on eBay every time I've ever seen them, so I wouldn't classify them as being "rare".